The Alzheimer's Art Quilt Initiative is feeling the August heat and turning UP the creative thermostat with the creation of its August Mega-Auction. 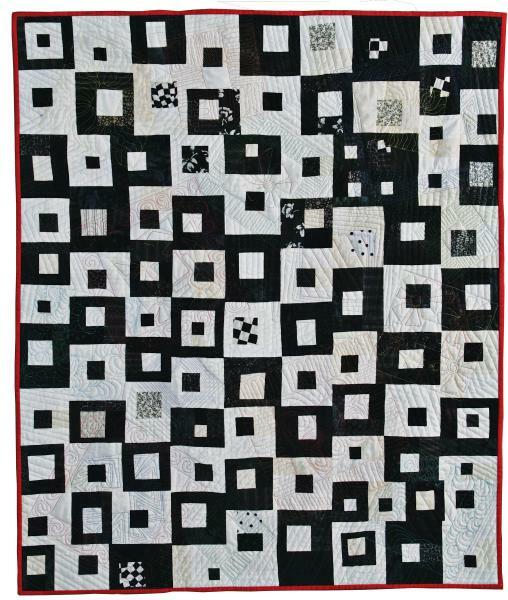 AAQI is auctioning off 20 quilts from the first traveling exhibit, "Alzheimer's: Forgetting Piece by Piece." 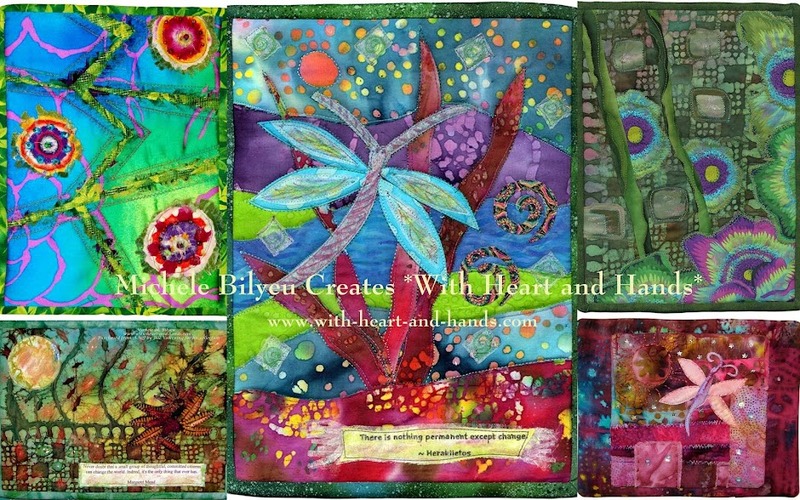 The selection includes quilts by Diane Gaudynski, Sue Nickels, Mary Stori, Marsha McCloskey, Nancy Brenan Daniel, Melody Crust, Mary Stori, Elsie Campbell, Debbie Bowles and others. When Ami Simms first 'dreamed her dream' of creating a group where quilters could work together to make quilts that would touch the lives and souls of all of us walking the journey with loved ones with Alzheimer's Disease, she knew that she wanted quilters to somehow make a difference by earning monies for Alzheimer's research. But I doubt that even she could envision the day when over 100 of those art quilts quilts, and 236 name quilts, would end up traveling the United States for years at a time....and end up touching the lives of every one who has seen them. The first traveling exhibit, featuring 52 of these special quilts, became a story of Ami's own vision of hope. 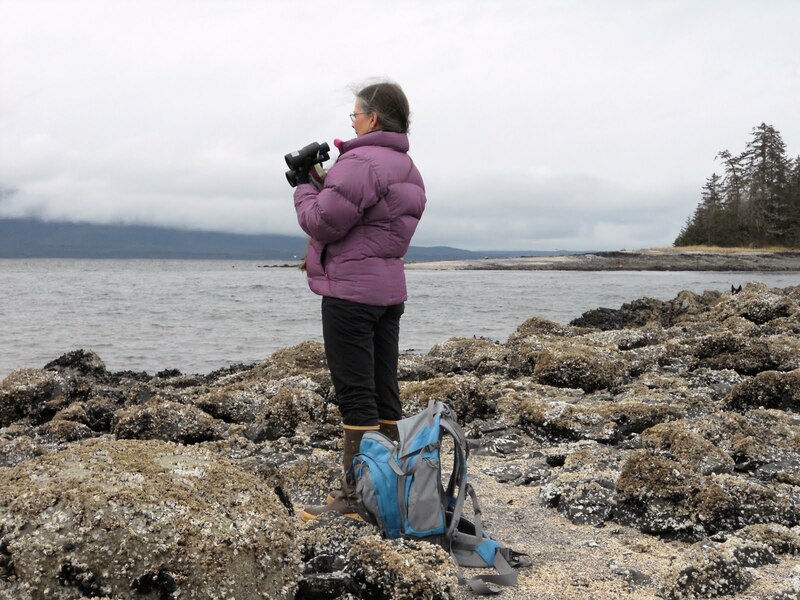 A story created by Ami's journey with her mother's Alzheimer's, her 'showerburst' moment of creativity when she first envisioned the spark that would become AAQI, and a dream of a group of quilters making a difference, one little quilt at a time. That dream became a request for quilts, the creation of a quilt exhibit, and that exhibit's traveling the country and touching hearts. And now, after so many years of their travels, the quilts have finally come home from that first traveling exhibit. 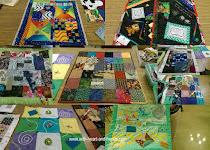 And thanks to the quilter's generosity, many of them have been donated back again to AAQI and put at auction. And that is the quilt story of our AAQI Mega-Auction. 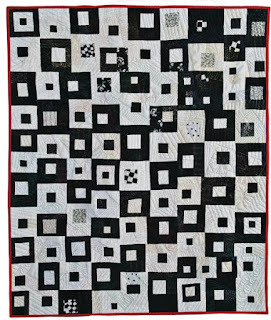 I look at the black and white and shades of grey quilt, shown above, made by nationally recognized, award-winning, quilt-artist Melody Crust, and I read, and think deeply about her words. "As an artist, I am always enveloped in color. Every minute of every day is about glorious reds, warm, rich browns, the thrill of that perfect shade of purple, and the myriad shades of green. I love them all. Alzheimer’s is about losing life's colors — words evaporate from vocabularies, memories that define us and enrich our lives fade and disappear. Yet the human spirit is resilient and our capacity to hope for a better tomorrow persists. I quilted that "hope" with bright threads over the surface of the quilt. "Fade To Gray's" red binding represents the love and generosity surrounding Alzheimer’s patients and their families, as whole communities work together to find a cure." Melody Crust's beautiful quilt was one of 54 quilts that was part of the "Forgetting Piece by Piece" traveling exhibit, sponsored by AAQI that traveled the U.S. from August 2006 until October of 2010. The quilts were shown in 49 veneus in 31 states and more than 300,000 people had the opportunity to view the collection and learned about Alzheimer's. Now 20 of those quilts have been donated by their owners back to AAQI for this extra-ordinary auction and you have the opportunity to not only bid on these quilts, but potentially own one of them. Awesome quilt, thank for sharing!